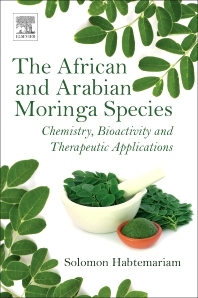 The African and Arabian Moringa Species: Chemistry, Bioactivity and Therapeutic Applications reviews the botany, socioeconomic significance and underlying chemistry of these interesting plants. The book begins by addressing the botanical and socioeconomic aspect of M. stenopetala, one of the most widely cultivated species within the genus. Next, it reviews the chemistry of the plant, with a systematic presentation covering the seed oil, various secondary metabolites, and issues relating to quality control. Final sections address the chemistry behind the reported use of the plant for the management of various diseases, highlighting potential antioxidant, antimicrobial, antidiabetic, anticancer properties and more. Other African and Arabian Moringa species, from their botany, to their chemical and pharmacological profiles are also included. Drawing on the author’s latest research and the most current literature in the field, this book is an invaluable guide for researchers in medicinal chemistry, herbal medicine, drug discovery/development, and plant derived natural products within both industry and academic environments.